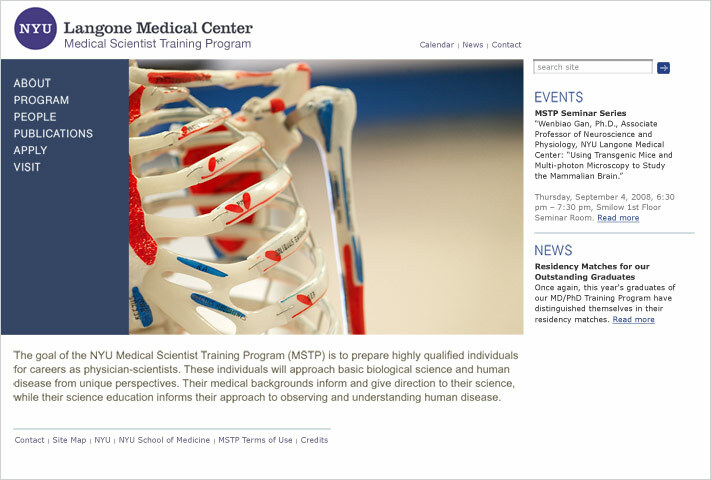 The Medical Scientist Training Program (MSTP) at New York University School of Medicine is a highly selective MD/PhD program that trains physician-scientists in both research and clinical practice. 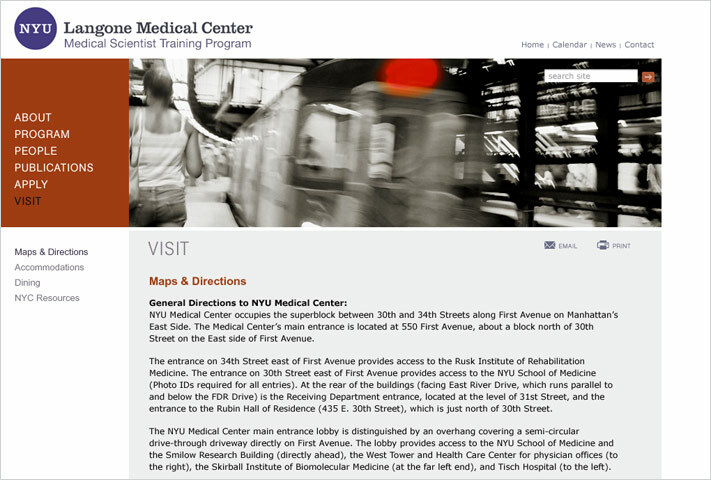 Its outdated website neither conveyed the quality of the program nor provided clear access to information to users. 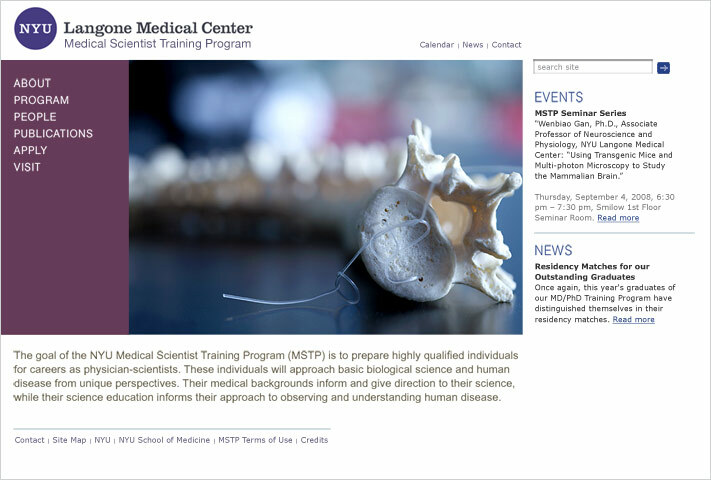 MSTP hired Cabengo to create a new website that would help position it as one of the top MD/PhD programs in the nation. 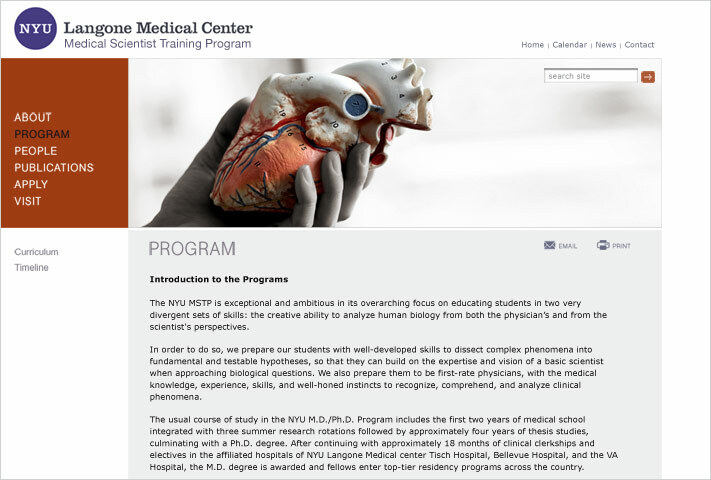 The new site needed to demonstrate the program’s excellence not only through content but also through usability, architecture and design. 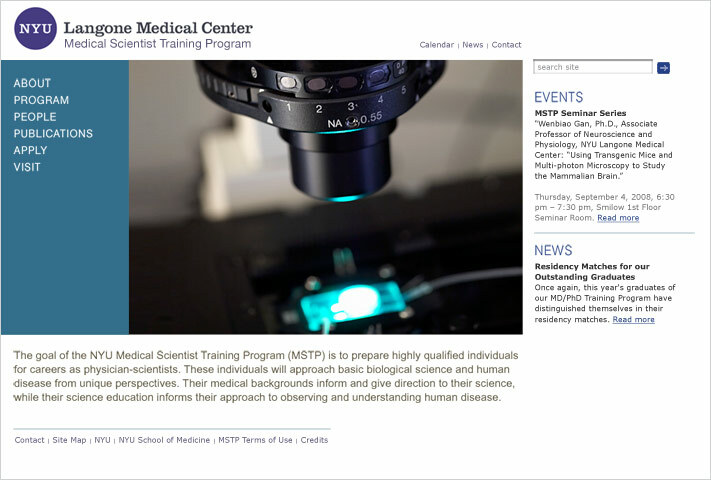 It needed to serve prospective applicants, current students, NYU’s academic and medical communities, and medical and scientific communities at large. 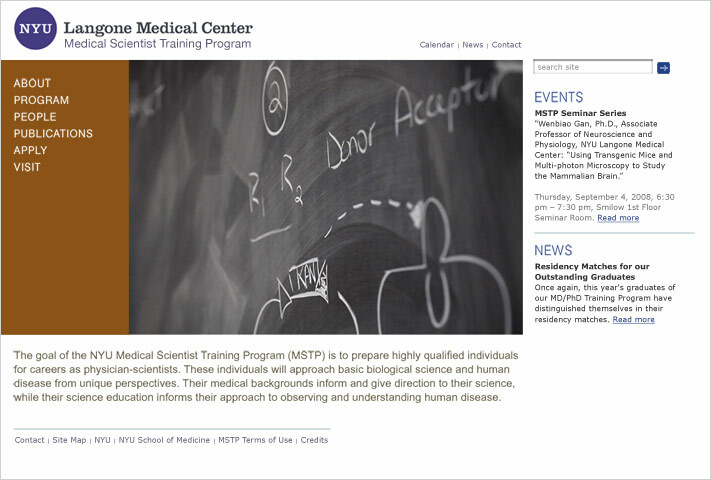 Cabengo worked closely with the MSTP project team to develop a user-centered architecture for the site. 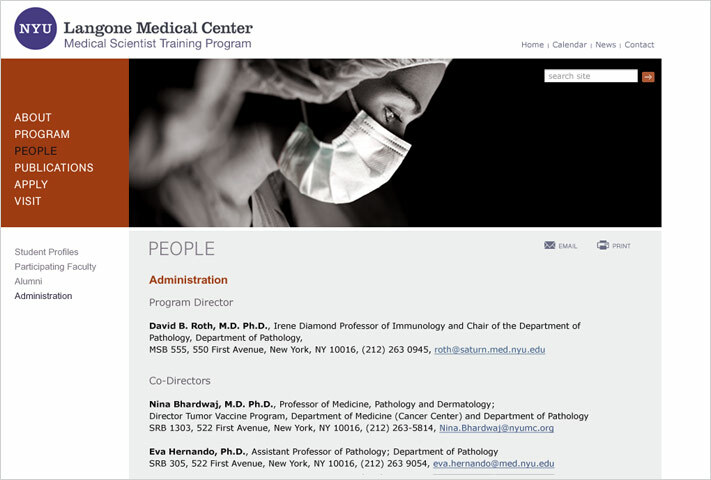 We developed a look and feel that complimented the recently completed Department of Pathology website but with a distinct homepage and palette. To address ongoing content management needs, Cabengo’s development partner implemented Drupal, an open-source CMS solution. The result is a handsome and easy-to-navigate website that positions the program as center of excellence while providing useful information and features of interest to target audiences. The CMS enables easy site maintenance by non-technical staff.